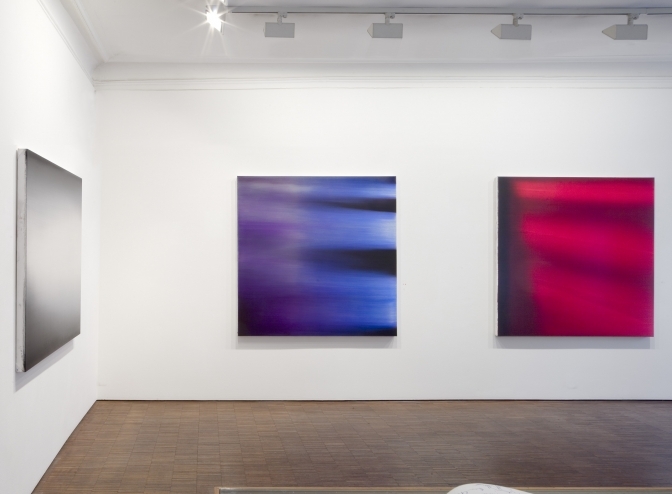 Eric Freeman is known for his large-scale monochromatic paintings that bear reference to Color Field Painting. Luminescent geometric forms are created through contrasting hues. Freeman seeks to influence the way light is perceived by the interplay of light and texture, creating illusions of depth. 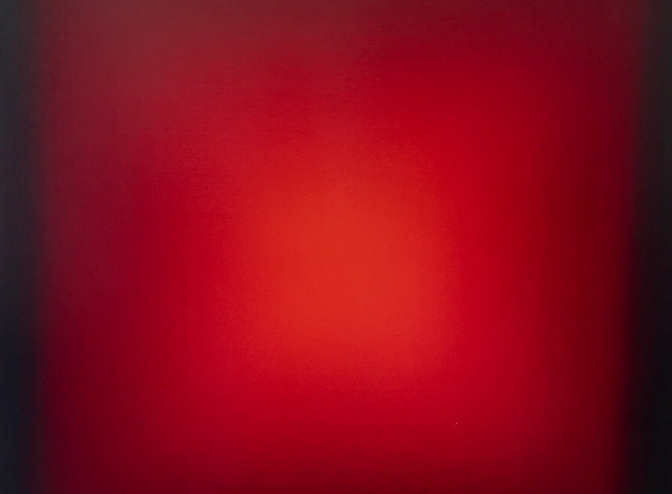 The almost electric glow is enhanced by a special medium created by the artist that is applied onto the canvas, and thus the act of painting and experimenting with colors is an essential part of Freeman's practice. Freeman holds a BFA from Tufts University in Boston. He has held numerous solo exhibitions throughout the United States and Europe and his work is included in such collections as Parrish Art Museum in Watermill, New York, Saatchi Collection in London, Frederick R. Weisman Art Foundation and the Kiasma Museum of Contemporary Art in Helsinki.